You are here: Home / The Species / Is It The Grave Of Fireflies? Remember back then when you were just a kid, chasing around fireflies and collect them in a jar? Such a nice summer afternoon, isn’t it? Or that romantic evening with your loved one when you were on an outdoor date and those little lightning bugs dancing around to your heartbeats with their yellowish sparks? What a lucky generation you are if you do, since nowadays their species are declining and having such experiences is very rare occurrence. Watch this video to remind you that experience. What happen to those beautiful creatures nowadays? Scientist all around the world have warned us all about the importance of noticing the disappearing of fireflies and lightning bugs. Fireflies and lightning bugs are the indicator of healthy and clean environment, so fewer place they can be noticed means fewer healthy and clean environment around us. There are some reasons to blame nowadays society for the dwindling of this insect. The first is losing their habitat to buildings and paving blocks. Yes, those places which used to be small grassy plains had been build up to be parking lots or another fast food chain franchise. As we know that fireflies are nature attendants, they don’t feed on French fries and sleep on the pavement. They need natural environment to live their full life cycle and human kinds are robbing their rights. The melancholic fact about the small creatures is, they are not those kinds of insects who tend to migrate from one place to another, so when their natural habitat is paved over they are less likely to migrate to the garden next door. Instead, they just disappear forever. The second aspect is pollution. Pollution is a key aspect that hugely affects the decline of those species. There are at least three kinds of pollution responsible for the decline of fireflies and lightning bugs and the first is water pollution. There are some kinds of lightning bugs who breed on standing water, so chemically contaminated water bodies are killing their larvae. In the other hand, fireflies feed on small creatures like snails, slugs, or some insect larvae which basically live in or near clean water. Thus, polluting the water is like killing their baby and poisoning their foods. Another kind of pollution takes place in diminishing the firefly species is reckless usage of pesticide. While fireflies and lightning bugs have less and less choice of places to live, the rest of those places are now chemically polluted with insecticides. Remember, insecticides not only kill the bad guys but also the good guys. Not only the immediate effect of the pesticides that directly kill all those guys, but the residue of those chemicals tends to remain for another period of time to prevent another invasion of the bad guys, and the rise of good guys also. Some kind of double edged sword, isn’t it? While those two kinds of pollution involve the use of chemical compounds by humans, the third pollution doesn’t. This kind of pollution doesn’t directly kill those little beetles (yes, firefly and lighting bug are actually beetles) but rather hamper their reproduction rituals. As we know that male fireflies attract the female ones with their light. In a study done by The Vanishing Firefly Project, in an area where fireflies live there can be as many as five species of fireflies active in that area. 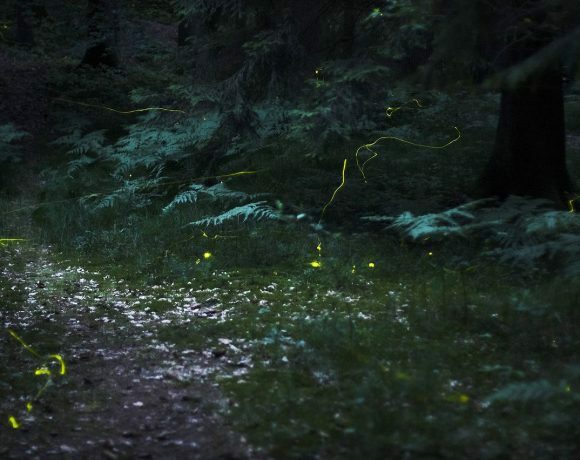 Fireflies of different species have different light patterns, so in addition to attract a mate those lights are also used by the male to inform their females of the same species to only choose their species. 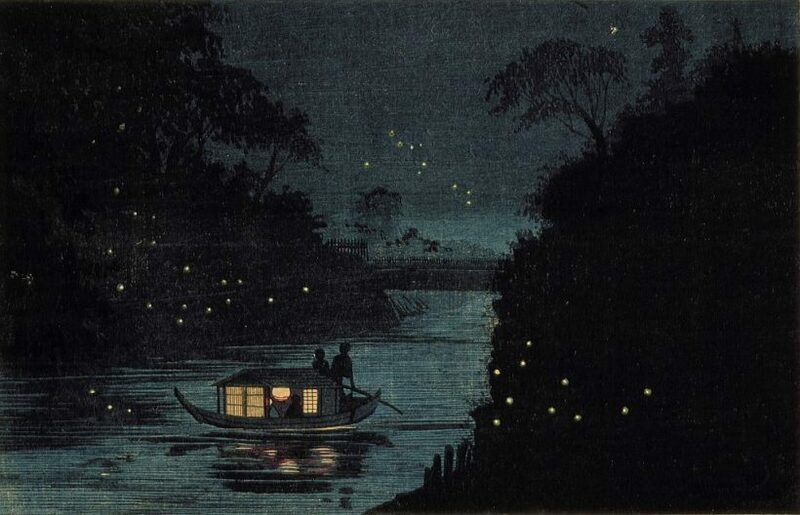 While the female fireflies also emit light to inform male fireflies that she is interested in nearby male suitor. All those meaningful rituals of lights nowadays often get outshone by bright outdoor artificial lights. 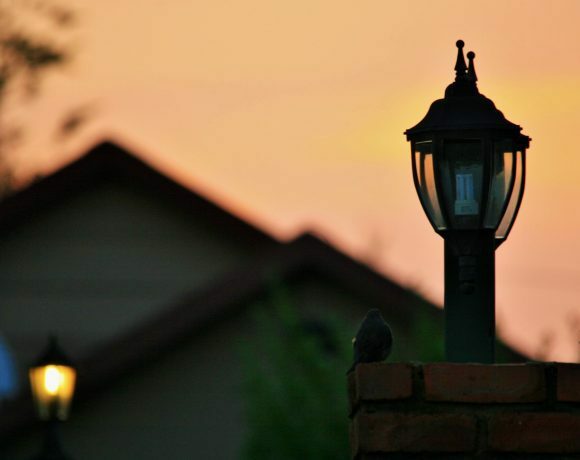 Bright garden lamps or front porch lights can be the reason why they no longer live around your house. 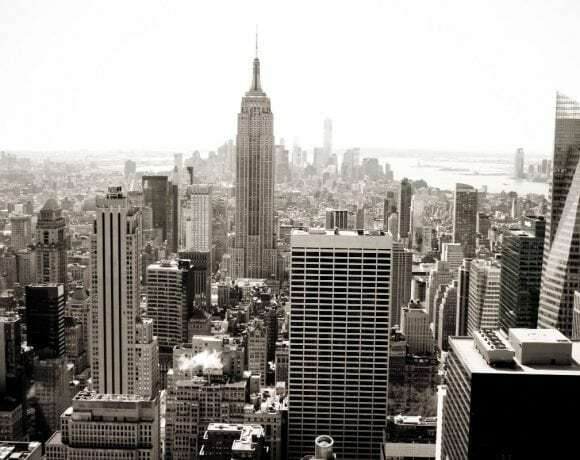 No wonder they have disappeared completely from those big cities that never sleep. The last aspect is the worst one, our apathy. People often only care about the beauty of those little magical lights flying around blinking from one place to another like fairy, while they don’t even think about how to support their conservation. We may realize that they are not as many nowadays as they were in previous decades but we still consciously or not still do harmful activities to them and their habitats. If you feel like you care, those beautiful beetles actually only need a little break from destructive actions done by human being to re-lit their tiny lights. We can start from making our garden a little haven for them by doing some little things like avoiding using chemicals, leaving the snails and slugs for firefly larvae to feed on, providing nice ground cover and grasses for them to lurk about in, and turning off the bright outdoor lights. Those little things may seem simple but it can make you look like a messiah for fireflies and lightning bugs. Before they are officially declared extinct, you can do something so your children or even grandchildren can still meet their beauty. Didn’t you fell in love to their beauty when you had the experiences catching fireflies or dancing to their lights? 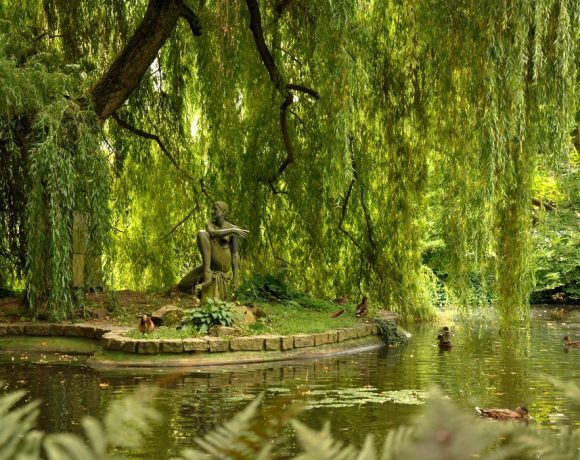 Don’t you want your children and grandchildren live their lives to the fullest like you did back then? So, start now!